This stunning bride is my dear friend Katherine. She married her love, Boz, on Saturday night, and I had the extreme pleasure of just being a guest at their perfect wedding! I really loved it. For the vast majority of weddings I’ve been at, I was either in the wedding or working as the photographer. So it was very nice to get to just relax and be there to celebrate Katherine and Boz and their commitment to each other. They got married at Tony’s Tree Plantation, which was a really beautiful location I had never been to here in OKC. Seriously, if you are looking for a gorgeous outdoor setting for an intimate wedding, check out this place! I am really looking forward to seeing the photos her wedding photographer captured, because I am sure they will be amazing! 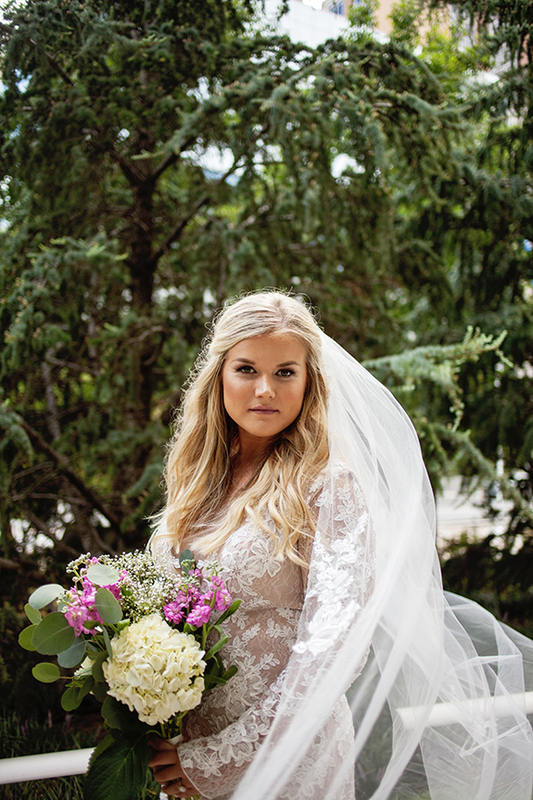 I absolutely adored Katherine’s long-sleeved, lace wedding gown. And I am a sucker for a long veil. 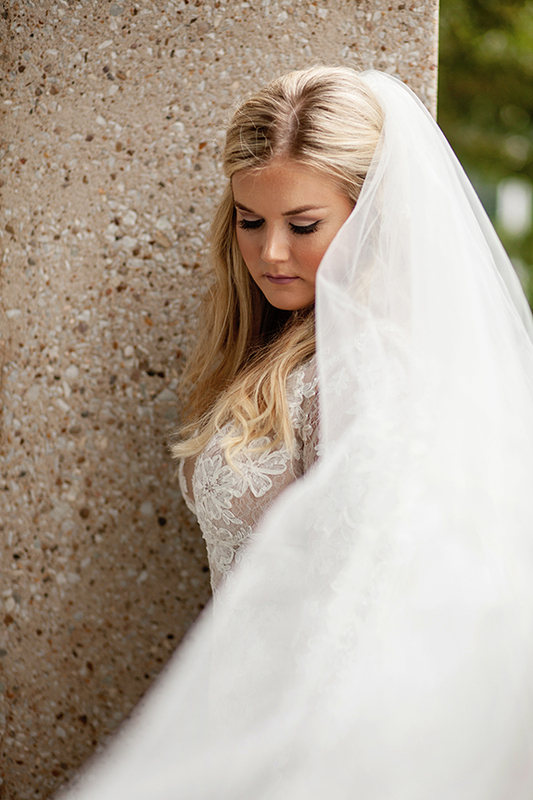 We had fun playing with her lace-trimmed veil during our session. You’re married! Ahhh!! Congrats! Your wedding was so perfect. Thank you for letting me enjoy it as a guest. And thank you for having me do these photos of you. 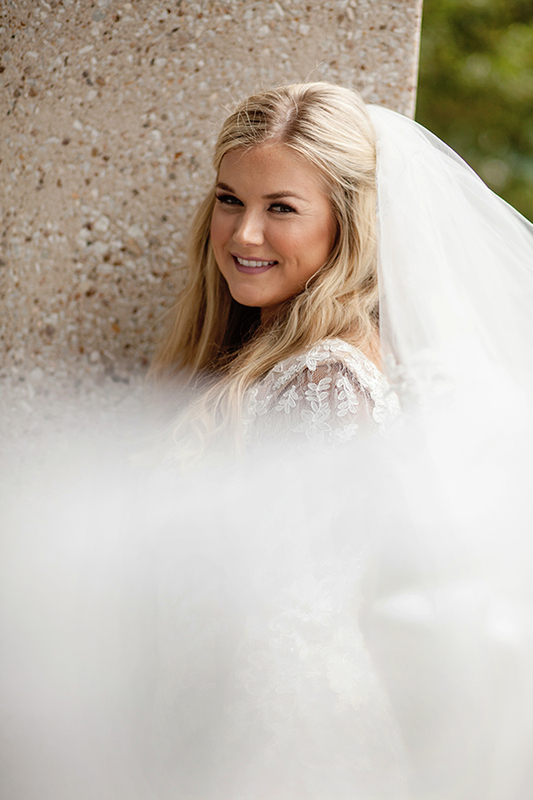 I loved capturing your bridal look on camera! Love you so much, and I’m so happy for you and Boz!